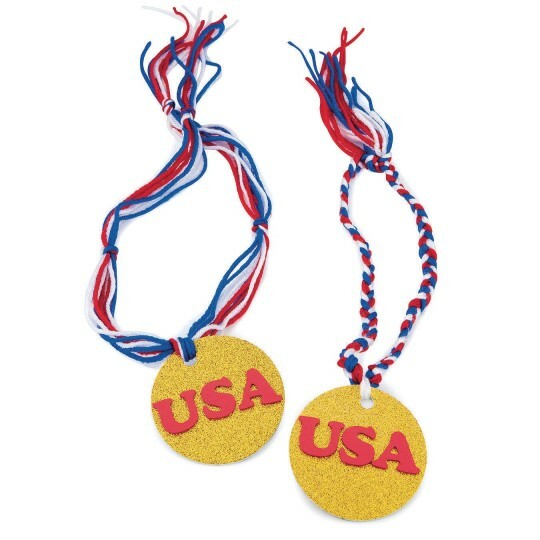 With this easy craft, everyone's a winner! With this easy craft, everyone's a winner! 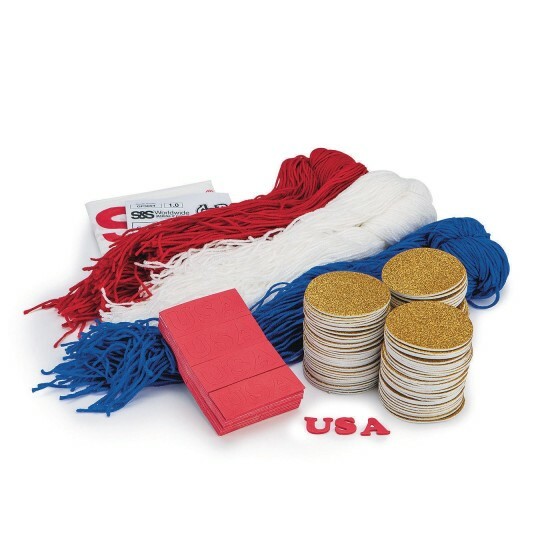 Includes 3" adhesive gold glitter foam circles, adhesive red foam letters, and red, white and blue yarn. This product was well received by students in grades 3-5. They all felt like winners! Go USA!